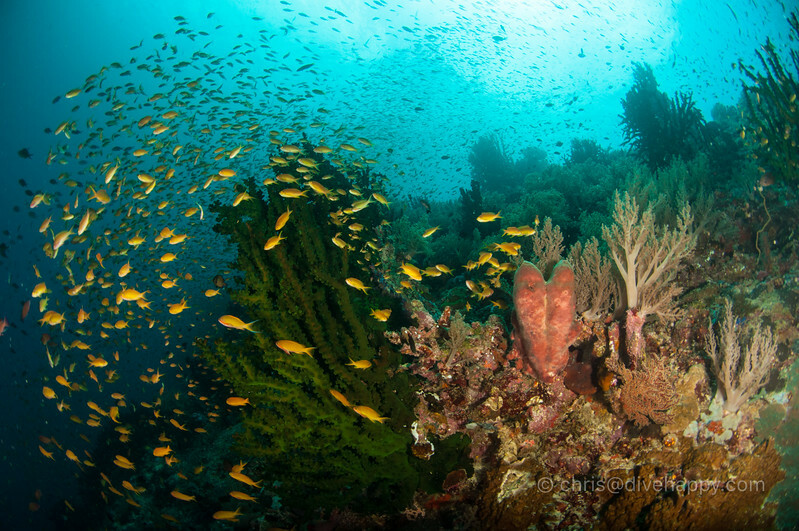 Sogod Bay in Southern Leyte is still one of the Philippines’ best kept dive secrets. There’s a smorgasbord of pristine reefs, abundant fish life, lots of critters and the promise of whale sharks – and very few other people there. It’s not often you go revisit somewhere nearly a decade later and find it almost totally untouched. 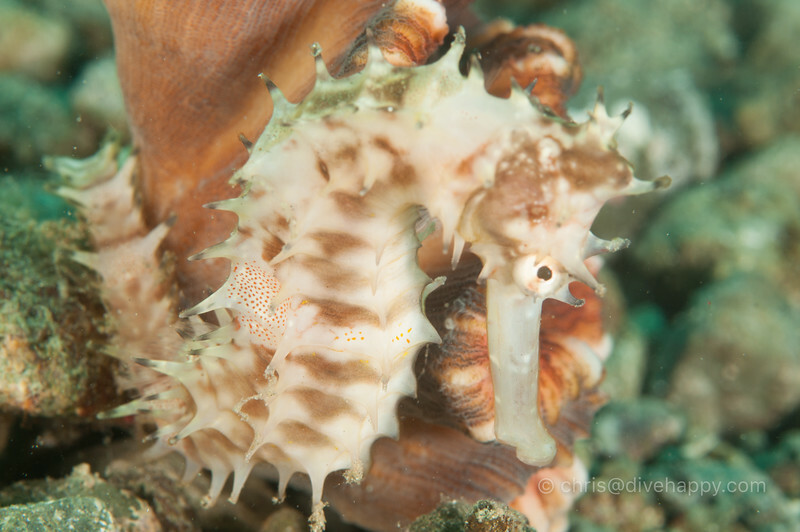 But that’s what I found on a return trip to Sogod Bay in Southern Leyte in April 2016, which is still, I think, the most underrated diving destination in the Philippines. In fact, it was so good I recently went back for a third time in April 2017. I first went to Sogod Bay ten years ago in 2007. Back then it had already received a fair bit of coverage in dive magazines as a new hot spot with pristine reefs, plentiful fish life and bonus whale sharks making an appearance for a few months a year. Amazingly, and hearteningly, very little has changed between April 2007 and April 2017. I was worried that the beautiful reefs and plentiful critters I remembered would be the stuff of fond memories rather than current reality – yet, after this second visit, it was frankly better than I remembered. Whereas many dive spots are either coral reef noodling or muck / critter diving, Sogod has a great mix of several kinds of sites with different topography, all within half hour’s boat ride of the resort. 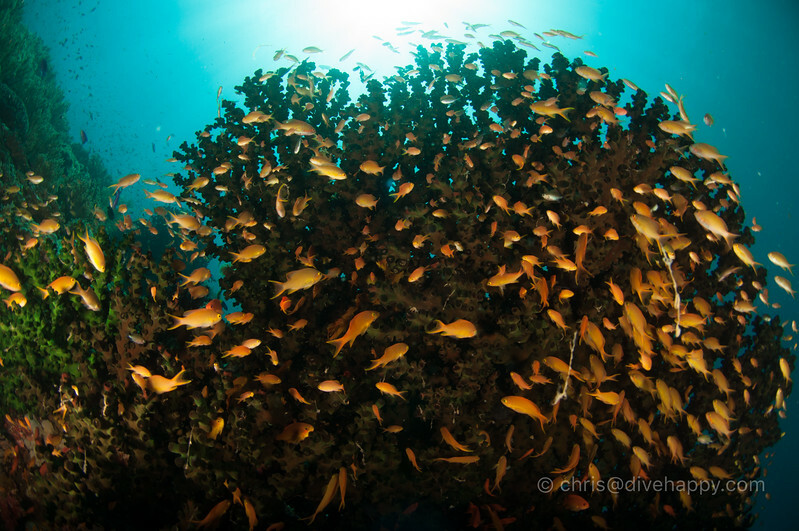 If you want gorgeously coloured, teeming with fish reef on sloping walls with literally thousands of anthias making it a wide angle heaven, then Napantao marine reserve is the place to go. If you want to play Hunt the mimic octopus in grey sand, head to the supposedly barren grey sands of Ghost Town. If you want a sandy reef dive with nudibranches, demon stingers and zebra crabs galore, explore the house reef just in front of the resort. And you have to do the "world famous in Southern Leyte" Padre Burgos pier night dive, where amongst the town’s detritus live seahorses, snake eels and stargazers. Sogod has at least 20 sites and several are very much worth repeat dives, meaning you could be happily occupied here for a couple of weeks. Napantao is the standout as the clouds of anthias around the corals are just endlessly beautiful, and the pristine reef continues further along at Olly’s Wall (actually more of a slope with wall-y interludes). We had the pleasure of meeting Olly in 2016 as he was over visiting Sogod from the UK when we were there – he was previously a dive guide at Sogod and is a very nice chap. Our dive guide Adam in 2017 was also great (although he made me feel old by being only 19) and has been taught well by the resort’s senior instructor and partner, the semi-legendary Pedro Batestil, who has been there since the resort’s inception. 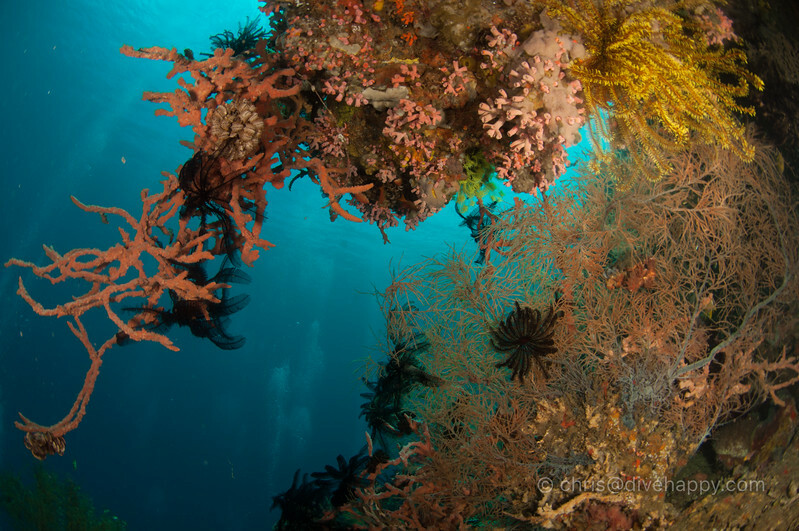 One of the other joys of the resort is that there is the house reef and then several other excellent sites that are essentially just a bit further along making them super accessible – 5 minutes and you’re ready to descend on the site. There’s Max Climax, Baluarte and Bunga Bend all in close proximity to the house reef which shares its characteristics of a sandy slope interspersed with clumps of coral. Max Climax however has a gorgeous drop off at 15 metres where you suddenly feel like you’re in mid air. 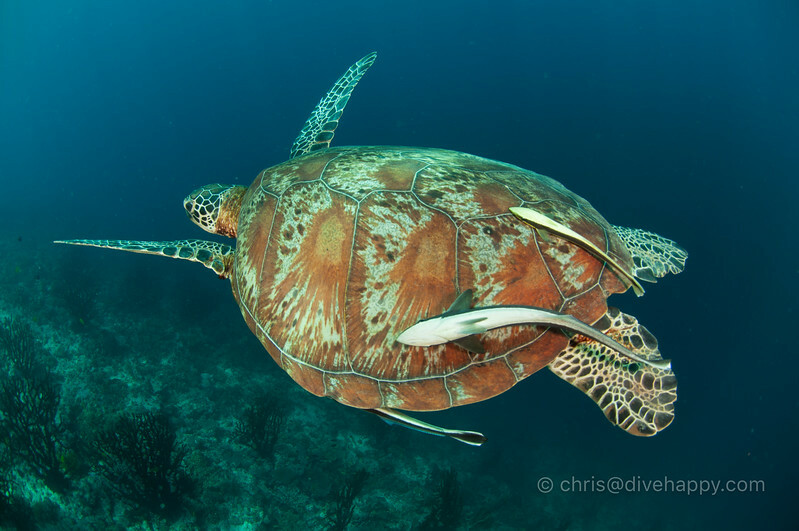 Santa Sofia lies south of the resort just by the town of Padre Burgos and it’s a lovely afternoon dive along a gentle slope as its home to several turtles, a couple of which are impressive sizes. We dived here a couple of times and the hazy afternoon light made me want to see it in early morning as the reef wakes up. Juvenile Barracuda are regularly spotted here, adding to the feel that the site is a sanctuary and something of an underwater nursery. Sogod Bay is part of the massive Leyte Gulf, with aqua waters of the shallow reefs by the shore quickly turning a dark inky blue as the reef drops off into abyssal depths. This great depth so near the shoreline means that some of the biggest, deep sea creatures are occasionally seen – whales have been spotted coming up for air and dolphins skipping around prow of a boat are a common sight. Most common of all though is the otherwise rarely seen whale shark. The world’s biggest fish usually start showing up in Sogod Bay around November and stay until April. However, in 2016 they stopped showing around February and in 2017 in January, so their presence can’t be guaranteed. They only started appearing in the gulf in the early 2000s, probably attracted by the spawning of the healthy local coral reefs which had been rigourously protected by legislation from an enlightened regional governness which has largely stayed in place. Diving with the whale sharks is not allowed, only snorkelling, and special spotter boats go out looking for them. 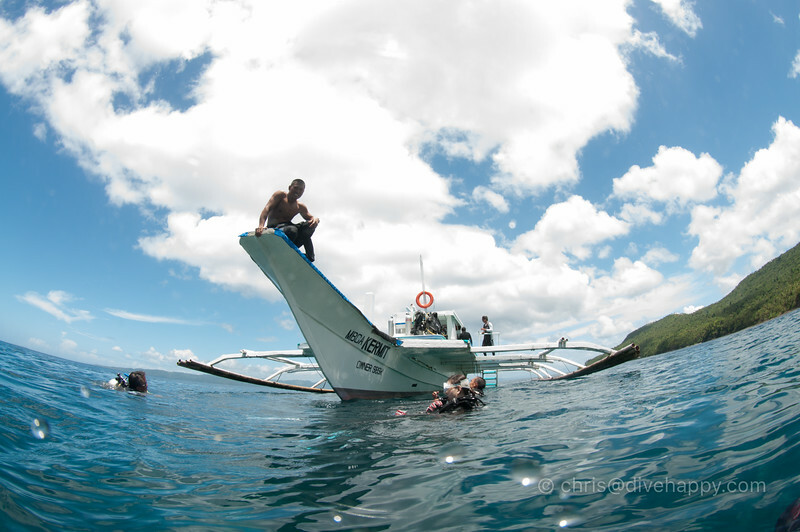 It’s a sedate affair with only 1 or 2 boats in the water usually – unlike the whale shark circus at Oslob. Frankly, the diving at Sogod is so good (sorry, had to do it) that the non-appearance of whale sharks is a mild annoyance rather than a major disappointment – those who don’t have too high expectations will be well rewarded. There’s several reasons why Sogod Bay has remained pretty much untouched over the last 10 years – and that’s because getting there is still fairly hard work. You can get a domestic flight from Manila to Cebu and then get a ferry from Cebu to Leyte, and then it’s a couple of hours drive to Sogod Bay. Or, more typically, get a domestic flight from Manila to Tacloban which is in the northern part of the island. The dive resort can send a driver to meet you, and then it’s a three and a half drive down to southern Leyte. Check on Skyscanner to compare prices and timings of flights to Manila, Cebu and Tacloban. Tacloban airport and its namesake city were badly damaged during the 2013 typhoon season but is now fully restored. As the only airport on the island, the typhoon has injected fresh drive into plans to open Maasin airport in the south so the island Leyte has two airports. Sogod Bay would be only a 45 minute drive from the airport, making it far more convenient to visit. It would probably open the floodgates for development and tourism too – and the impact of that development on Sogod’s reefs, the very thing that makes it special, could be terrible if not handled carefully. But, locals think Maasin airport will take years to materialise – it’s been under discussion for a couple of decades already. Until then, Sogod Bay is very much worth the effort to visit. 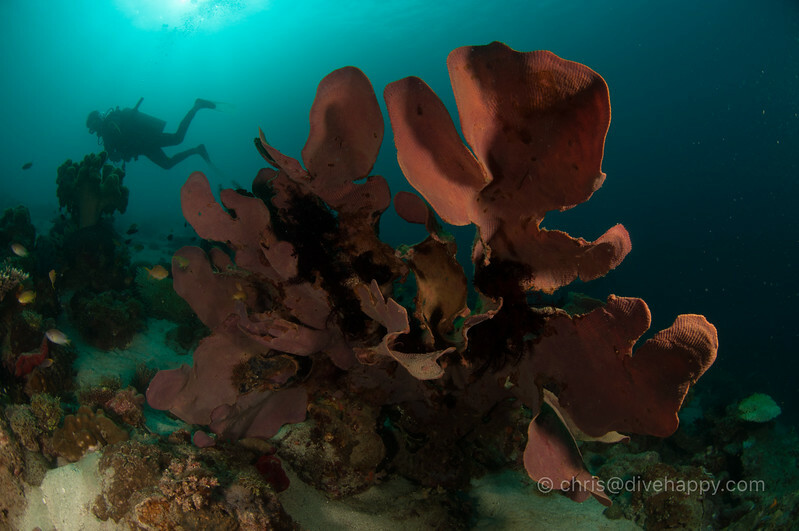 The reefs are fantastic and there’s almost no-one else about – despite there being several dive operations here that have been in business for over a decade, it still feels like discovering a magical place that’s all your own. Go now before everyone else does. 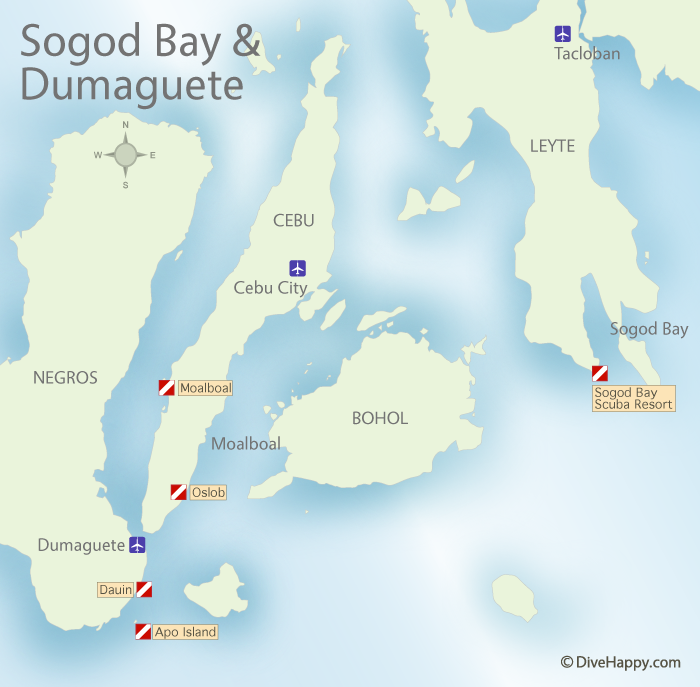 All three trips I’ve done to Sogod Bay I’ve stayed at Sogod Bay Scuba Resort – you can read previous guest reviews and book online at Agoda. 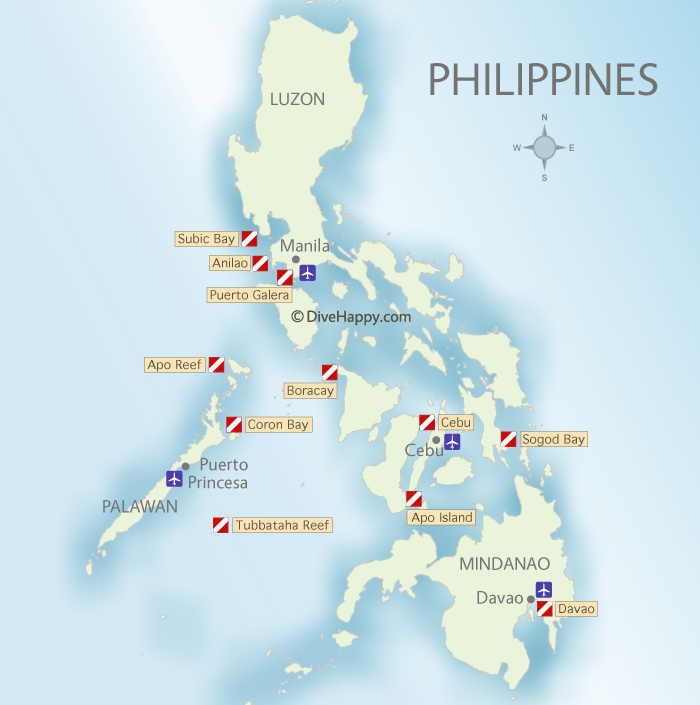 There are several other resorts in the area – Peter’s Dive Resort, Padre Burgos Castle, Southern Leyte Divers and Leyte Dive resort. Liveaboards do not feature Sogod Bay regularly on their itineraries. It’s possible to do a liveaboard around the Visayas (central Philippines region) and then from Cebu make your own way to Sogod – it’s a great addition to a liveaboard trip if you have a couple of weeks in the Philippines. Two liveaboards which run regular trips in the Visayas are Philippines Siren and Atlantis Azores – follow the links to check dates, availability and pricing. Wherever you travel, you should make sure you have travel insurance and if you’re diving, dive insurance too. World Nomads provides travel and dive insurance in one policy (make sure you select the relevant options to ensure diving’s included). The nearest hyperbaric chamber to Sogod Bay is in Cebu City, and the nearest decent hospital too. Diving Sogod Bay podcast – talking to Phil McGuire of Sogod Bay Scuba Resort about what makes Sogod special.